Heat pumps from leading manufacturer Daikin have recently been installed in social housing retrofit projects across the country, helping to cut bills and improve comfort for occupants. The projects, spread across Dublin, Carlow, Kilkenny and Waterford, were all funded through SEAI’s Better Energy Communities scheme. Most of the retrofit projects were carried out for Respond Housing Association, and they also included building fabric upgrade measures such as cavity wall insulation, attic insulation, new windows and doors, and the installation of room-sealed wood burning stoves in place of open fires. These upgrades have typically pushed building energy ratings from Es and Fs up to Bs. “The feedback from both the associations and the tenants has been very positive,” said Ian Killoch of Daikin. He added that housing associations and local authorities are becoming increasingly keen on installing heat pumps because of their “low running costs, high comfort level and low maintenance requirements”. Reports from tenants indicate the upgrades have improved comfort levels dramatically along with reducing dampness in some dwellings. “They have a much better standard of comfort, constant warmth and not having to stock up on bags of coal and make sure the oil tanks are continuously filled. Health wise it will make a big difference, it’s all very positive, and the tenants are very happy,” Killoch said. The Daikin units installed were predominately air-to-water units and a split unit with integrated hot water cylinder. Air-to-air systems were fitted at a project in Artane, Dublin. Daikin were involved from the design stage through to installation and commissioning – along with a variety of mechanical contractors and installers from their dealer network – and provided technical back-up where required. 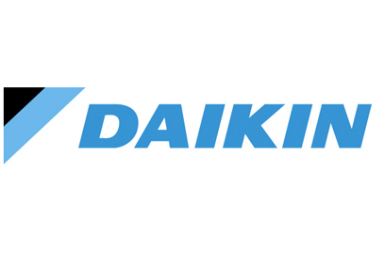 ​Daikin Ireland is a leading manufacturer and supplier of heating, ventilation & air conditioning equipment, including heat pumps and refrigeration.